I’m on vacation but I will be online so if you have any questions don’t hesitate to contact me. 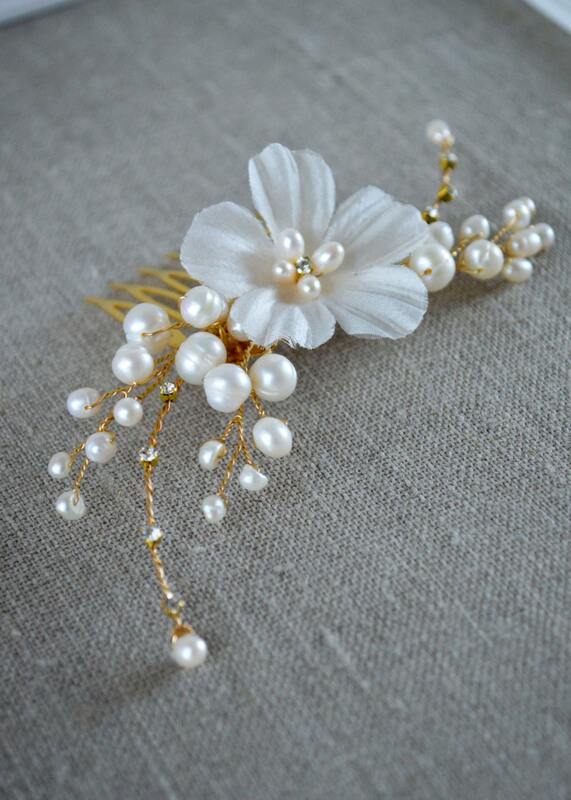 Bridal Floral hair comb made with ivory silk flower, hand wired freshwater pearls and crystals. 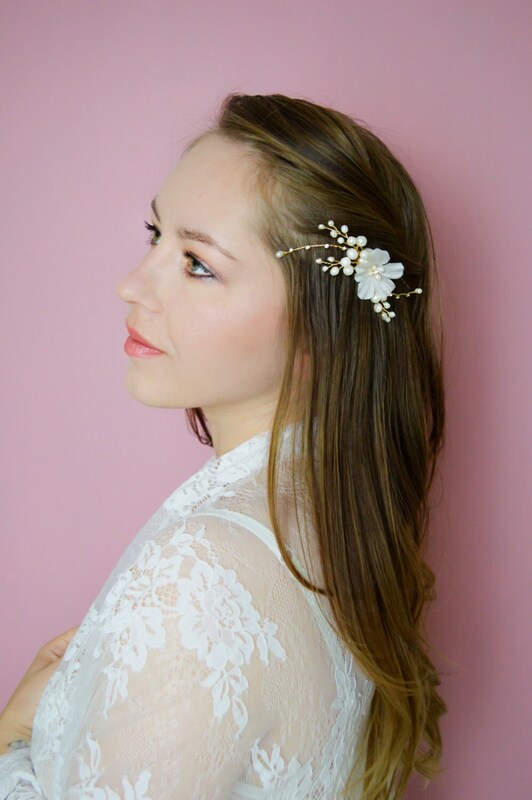 Perfect for the vintage inspired style! 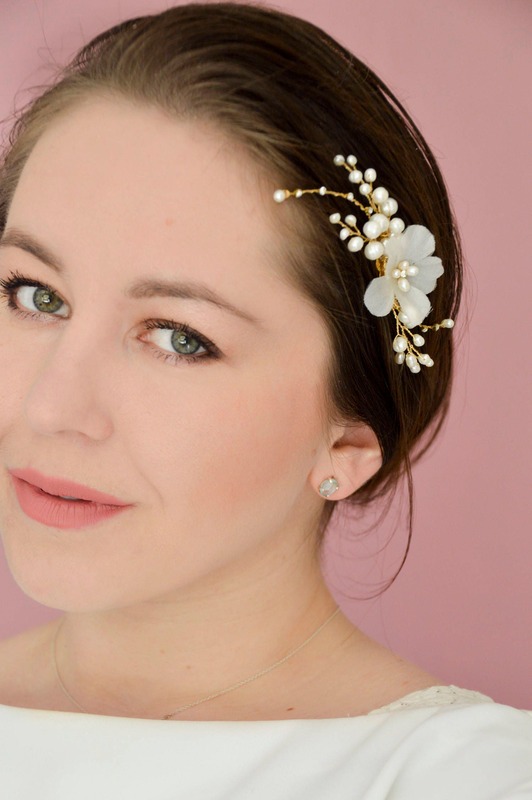 With a touch of sparkle and glamour. Don't see what you are looking for? I would love to make custom piece for you.